The Porsche GT Team was rewarded for a strong performance with a place on the podium at the 24 Hours of Daytona. Under difficult conditions on the Daytona International Speedway, the two Porsche 911 RSR racers achieved positions three and five. The sports cars from Weissach had clearly dominated the first half of the long-distance classic. However, heavy rain, numerous caution phases, interruptions and incidents threw the two factory cars in the legendary Brumos design into a rainy game of chance in the final hours. The new Porsche 911 GT3 R achieved eighth place at its race debut. Heading into the race on Saturday afternoon (local time) in dry conditions, Nick Tandy (Great Britain) made perfect use of his pole position, with the No. 911 Porsche 911 RSR holding the lead over many laps. His French teammates Patrick Pilet and Frédéric Makowiecki retained the top spot into the night. Torrential rain early on Sunday morning proved to be a watershed moment in a perfect race. With deep water on the track, the 911 of the polesitter fell back into fifth place. The sister car shared by Earl Bamber (New Zealand), Laurens Vanthoor (Belgium) and Mathieu Jaminet (France) experienced bad luck early on in the race. The repairs to a defect in the front splitter mounting threw the trio in the No. 912 Porsche 911 RSR back by four laps. Thanks to a flawless drive and perfect strategy, the gap was quickly closed so that both factory cars were back amongst the frontrunners. The No. 912 vehicle was relegated to fourth place in arguably the worst conditions in the 57-year history of the endurance classic, but was classified third when a penalty was handed to a competitor when the race was finally stopped after 24 hours and 50 minutes. 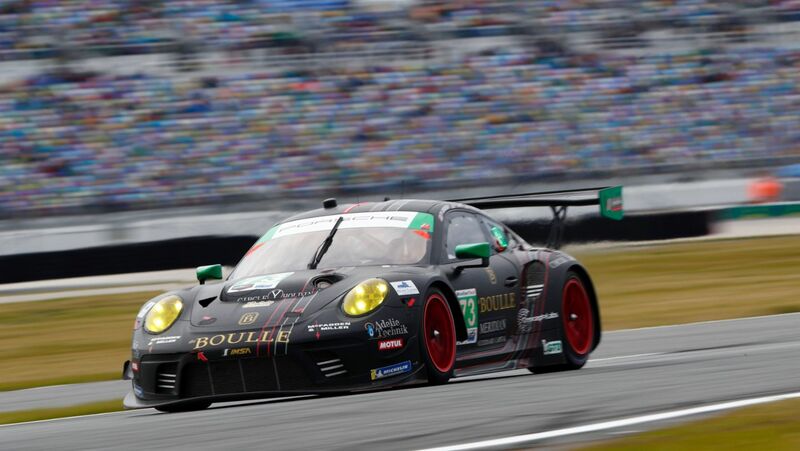 In the GTD class, the new Porsche 911 GT3 R run by the Park Place Motorsports customer team achieved eighth place. 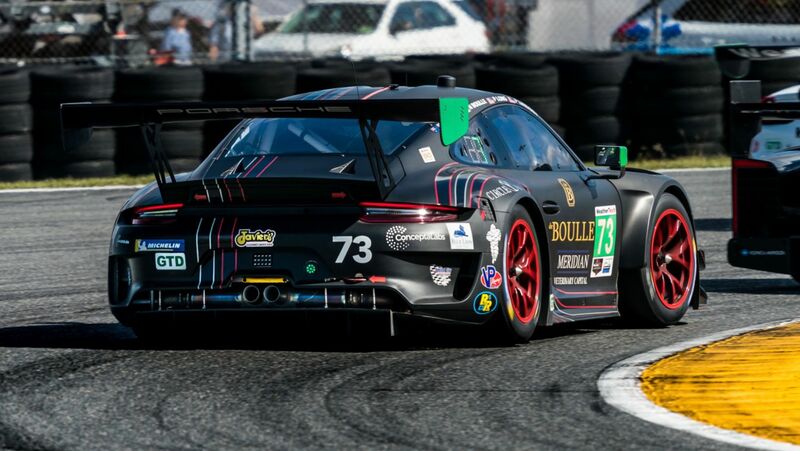 After several setbacks, works driver Patrick Long (USA), Porsche Young Professional Matt Campbell (Australia) as well as the two American racing drivers Patrick Lindsey and Nicholas Boulle repeatedly fought their way up the order. Over long stretches, the team from Texas and its experienced drivers underlined the immense potential of the new GT3 car from Weissach and led the race in the final stages. However, the interruption immediately after a pit stop foiled the tactics and thus the chance of a victory. Bad luck also plagued the customer teams Black Swan Racing and Pfaff Motorsports, with accidents throwing their ca. 500 hp vehicles into retirement. The squads from the USA and Canada managed to match the pace of the frontrunners and were at times on course for a podium spot. A technical defect threw the Porsche 911 GT3 R fielded by NGT Motorsport out of contention early in the race. More comments in the press release. The Porsche GT Team is still on course for the podium at the 24 Hours of Daytona despite the difficult conditions. 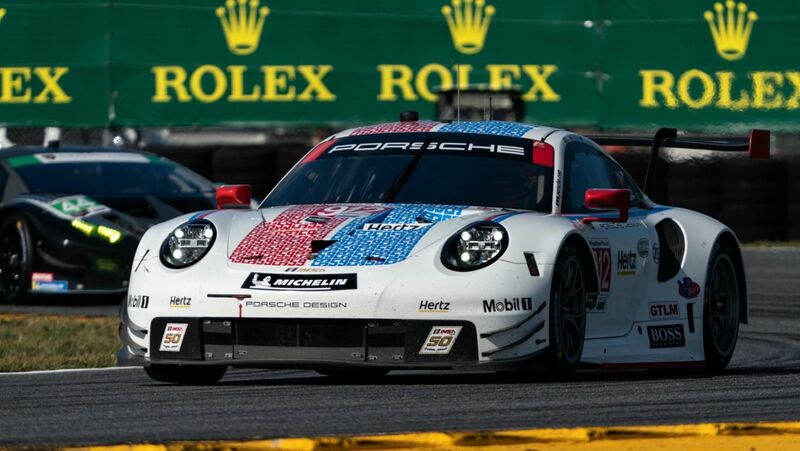 When the season opening round of the IMSA WeatherTech SportsCar Championship was halted around 7am due to torrential rain and restarted after 1.45 hours for one lap, the two Porsche 911 RSR were lying in positions three and five. In the GTD category, the new Porsche 911 GT3 R fielded by the Black Swan Racing customer team is within striking distance of first place. Polesetter Nick Tandy (Great Britain) and his French teammates Patrick Pilet and Frédéric Makowiecki have been part of the leading group in the No. 911 Porsche 911 RSR since the start on Saturday afternoon (local time). 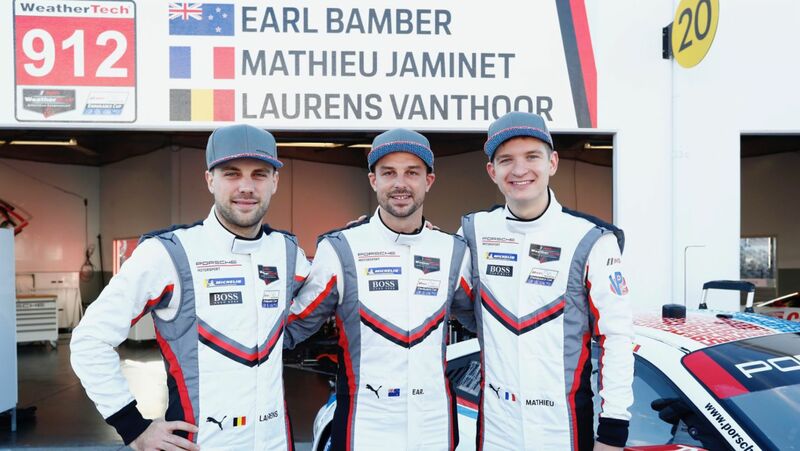 Their works driver colleagues Earl Bamber (New Zealand) and Laurens Vanthoor (Belgium) as well as Porsche Young Professional Mathieu Jaminet (France) have made a remarkable comeback after the No. 912 car came into the pits with a defective front splitter mounting. Thanks to a perfect strategy and a flawless drive, the four-lap gap could be closed within just four hours. As the race went on, neither the heavy rain nor a scheduled stop to change the brakes could throw the two Porsche 911 RSR in the legendary Brumos design out of the top group of contenders. 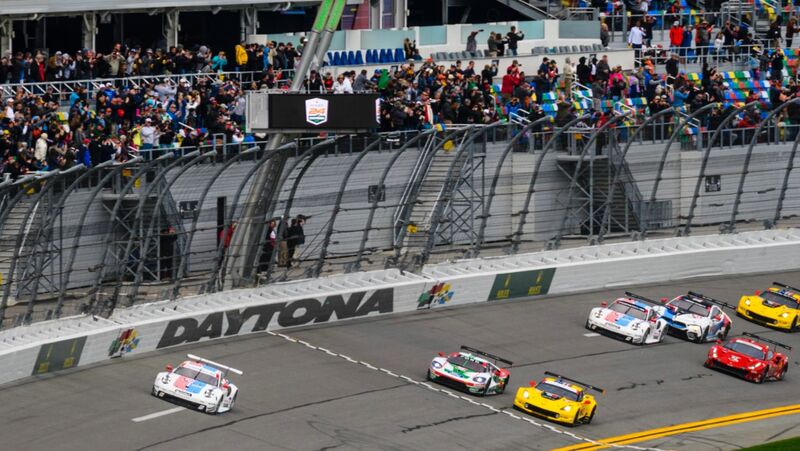 After around 17 hours of racing, the 24 Hours of Daytona was red-flagged due to persistent rain. Despite the difficult conditions, the race resumed. In an attempt to avoid getting caught up in the subsequent mass collision, the Porsche 911 RSR with the starting number 912 lost three positions. With five hours remaining, the two factory cars are currently lying in positions three (#912) and five (#911). At its first race, the new Porsche 911 GT3 R is underlining its great potential impressively. Works driver Dirk Werner (Germany), Porsche Young Professional Matteo Cairoli (Italy) as well as the teammates Marco Seefried (Germany) and Tim Pappas (USA) are currently on course for a podium finish with the vehicle of the Black Swan Racing customer squad. The vehicle run by Park Place Motorsports was at times in the lead, but fell back due to a number of incidents. An accident has put an end to the Pfaff Motorsports team’s first outing in the GTD class. The Porsche 911 GT3 R of NGT Motorsport retired early after suffering a technical defect. 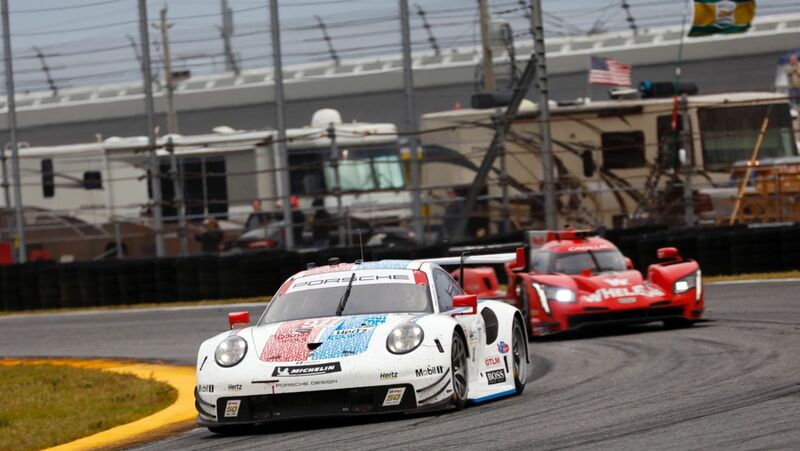 The Porsche GT Team holds a promising position at the Daytona 24-hour race. After the first four hours of racing, the No. 911 Porsche 911 RSR has taken over the lead of the notoriously competitive GTLM class. The sister car with the starting number 912 has taken up an impressive chase after being hampered by technical problems early on in the race. 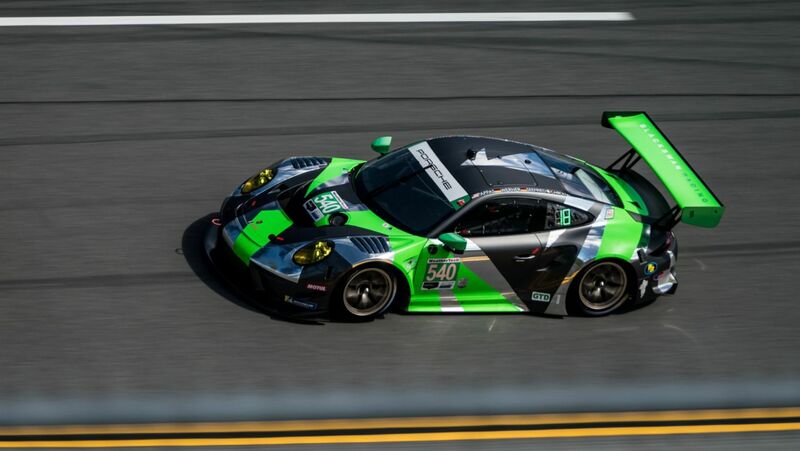 The new Porsche 911 GT3 R is also running amongst the front pack at the opening round of the 2019 IMSA WeatherTech SportsCar Championship. Nick Tandy had taken up the long-distance race in Florida from pole position in the Porsche 911 RSR. The UK racer defended his top spot at the start and continued at the front for long stretches during his two stints before handing the car off to his teammate Patrick Pilet (France) after 100 minutes. For tactical reasons, the Porsche GT Team put in an additional pit stop. This relegated the No. 911 car to third place briefly before reclaiming the lead. Frédéric Makowiecki is leading the field in the dark. The driver trio sharing the No. 912 car experienced some bad luck at the beginning of the race. After an intense start phase and two exceptional overtaking manoeuvres, Earl Bamber (New Zealand) had to pull into the pits twice to repair a defect on the front splitter mounting. As a result, the vehicle lost four laps to the leader. With a smart strategy and blistering lap times, the gap was halved within two hours. While running in sixth place after four hours, Laurens Vanthoor (Belgium) has now handed the car off to Porsche Young Professional Mathieu Jaminet (France). In the GTD category, the new No. 73 Porsche 911 GT3 R fielded by the Park Place Motorsports customer team holds a promising position. 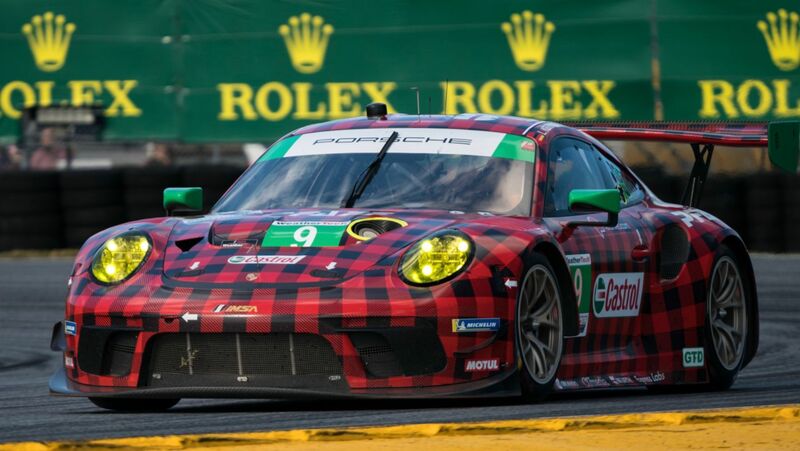 Factory driver Patrick Long (USA), who shares the sports car from Weissach with his compatriots Patrick Lindsey and Nicholas Boulle as well as Porsche Young Professional Matt Campbell (Australia), ranks fourth after four hours. The identical cars run by Pfaff Motorsports and Black Swan Racing are currently fighting their way back up the order after early setbacks. The 911 GT3 R of NGT Motorsport has retired early. Porsche will take up the 24 Hours of Daytona from pole position. At the wheel of the No. 911 Porsche 911 RSR, works driver Nick Tandy set the fastest lap time in the 15-minute qualifying session. Scoring a time of 1:42.257 minutes, the British racer was clearly ahead of his toughest rivals in the GTLM class. Earl Bamber (New Zealand) planted the sister car with the starting number 912 on the fifth grid spot. 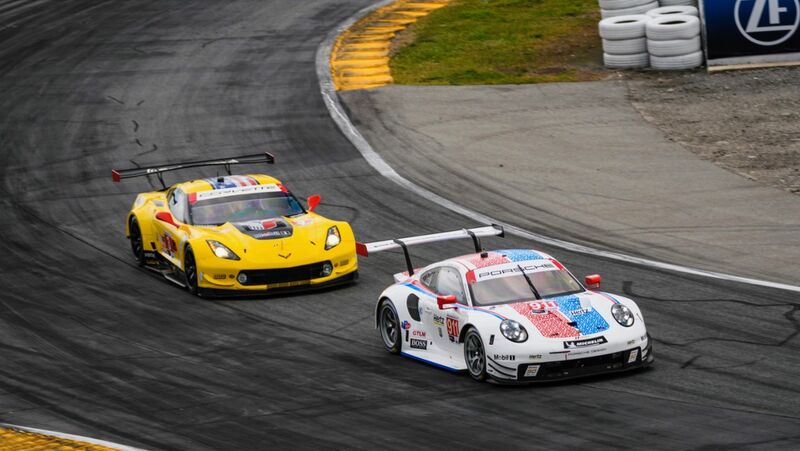 The two Porsche 911 RSR tackle round one of the 2019 IMSA WeatherTech SportsCar Championship season in the livery of the legendary Brumos Racing team. In the hunt for top times, the Porsche GT Team chose a perfect strategy. The experienced factory squad sent the sports cars from Weissach out on the track precisely at the right time. Tandy (Great Britain) benefited from the slipstream of other vehicles and got the best out of the 911 RSR’s high potential. 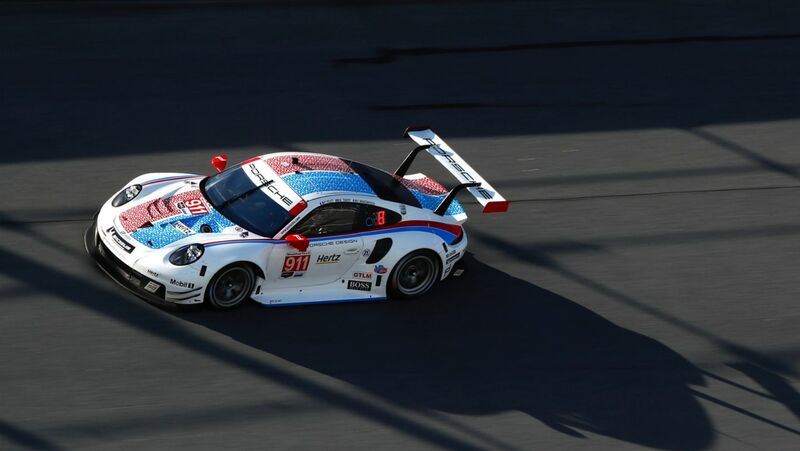 With his hottest lap, the UK driver set a new qualifying record for the GTLM class at Daytona (USA). Posting six top times in the GTLM class, Tandy is the best qualifying driver in the history of the IMSA SportsCar Championship. The fifth grid spot for the No. 912 Porsche 911 RSR rounds off a successful qualifying session for Porsche. In the GTD class, Lars Kern (Weissach) secured a top-ten grid position at the debut of the new 500 hp Porsche 911 GT3 R fielded by the Canadian team, Pfaff Motorsports. 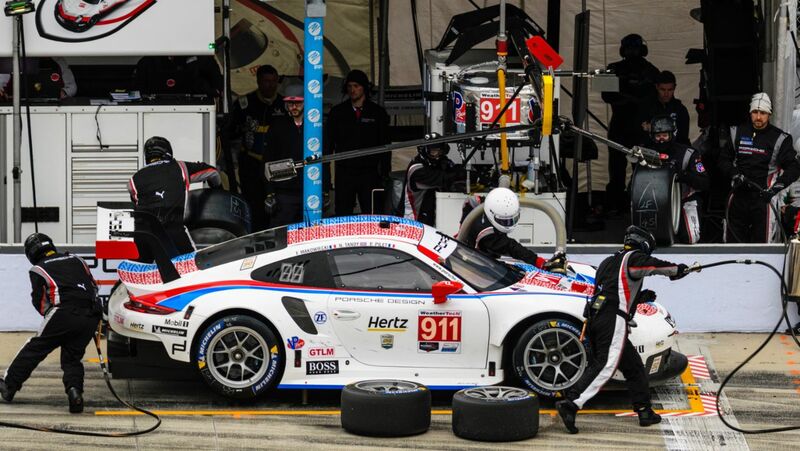 With the number 9 vehicle, the Porsche development driver turned the eighth quickest lap in the 15-minute session. The identical No. 73 sports car run by Park Place Motorsports takes up the 24-hour race from position ten, with the customer squad vehicles from Black Swan Racing (#540) and NGT Motorsport (#99) occupying grids positions 13 and 17 respectively. The 24-hour race on the Daytona International Speedway is contested on a 5.73-kilometre-long combination of the tri-oval and a tight and twisty infield section. The storied event in Florida has been held every year since 1966. 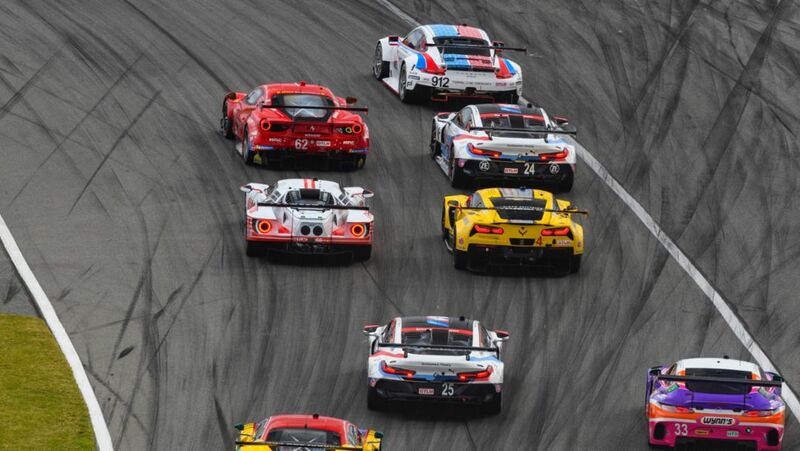 The endurance classic marks the start of the IMSA WeatherTech SportsCar Championship season and counts towards the North American Endurance Cup (NAEC). 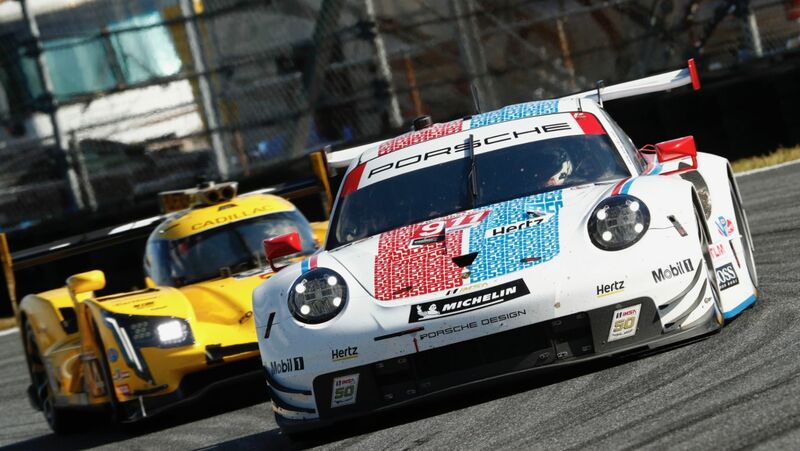 For the start of the 2019 motor racing year in North America, regular drivers Patrick Pilet (France) and Nick Tandy (Great Britain) share the No. 911 car, and like last year will be supported by Frédéric Makowiecki (France). In 2018, the trio won the long-distance races at Sebring and Road Atlanta. Earl Bamber (New Zealand), Laurens Vanthoor (Belgium) and Mathieu Jaminet from France share the cockpit of the No. 912 sister car campaigned by the Porsche GT Team. Works driver Patrick Long (USA) takes the wheel of the 911 GT3 R with the starting number 73 with his compatriots Nicholas Boulle and Patrick Lindsey as well as Porsche Young Professional Matt Campbell (Australia). In the identical No. 9 car sit Porsche development driver Lars Kern (Germany), Young Professional Dennis Olsen (Norway) and the two Canadians Scott Hargrove and Zacharie Robichon. The No. 99 Porsche 911 GT3 R is manned by works driver Sven Müller (Germany) and Klaus Bachler (Austria) as well as the Germans Steffen Görig, Alfred Renauer and Jürgen Häring. Sharing driving duties in the No. 540 vehicle are works driver Dirk Werner (Germany), Young Professional Matteo Cairoli (Italy), Marco Seefried (Germany) and Timothy Pappas from America. In the long history of the 24 Hours of Daytona spanning more than 50 years, no other manufacturer has enjoyed as much success as Porsche. 18 overall victories, four more as engine partner, and a record-setting 77 class wins remain unrivalled. Five outright victories in the years 1973, 1975, 1977, 1979 and 1991 and a class win in 1972 make US racing legend Hurley Haywood the most successful Porsche driver at Daytona. For its third race season, the Porsche 911 RSR has undergone further optimisation primarily in the setup. Depending on the size of the restrictor, the engine, which is positioned in front of the rear axle, puts out around 375 kW (510 hp). The large rear diffuser combined with a top-mounted rear wing provides aerodynamic efficiency and significant downforce. The 911 GT3 R was newly developed for the 2019 season. Improvements in the areas of aerodynamics and kinematics were systematically implemented from the insights garnered from the many race outings of its predecessor. The six-cylinder engine in the rear of the GT3 customer racer produces over 368 kW (500 hp). Round two of the IMSA WeatherTech SportsCar Championship will also be held in Florida. 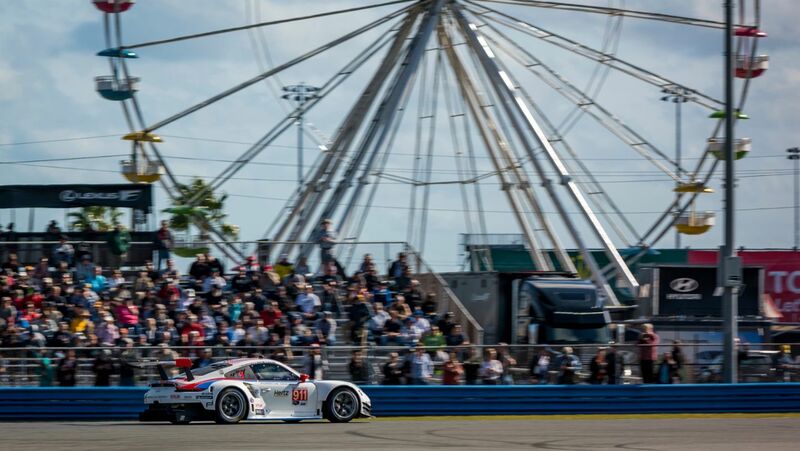 On 16 March, the 12 Hours of Sebring (USA) will be contested as a doubleheader with the FIA WEC. The sports cars will fly the colours of the successful Brumos team at the two longest races of the season. The Porsche GT Team has wrapped up its preparations for the 2019 IMSA SportsCar Championship. Patrick Pilet, Nick Tandy and Frédéric Makowiecki won the Petit Le Mans race at Road Atlanta.